So excited to share this with you all. Places are starting to fill so if you´re interested, let me know if you want to join us. Can´t wait! Details below or click here. 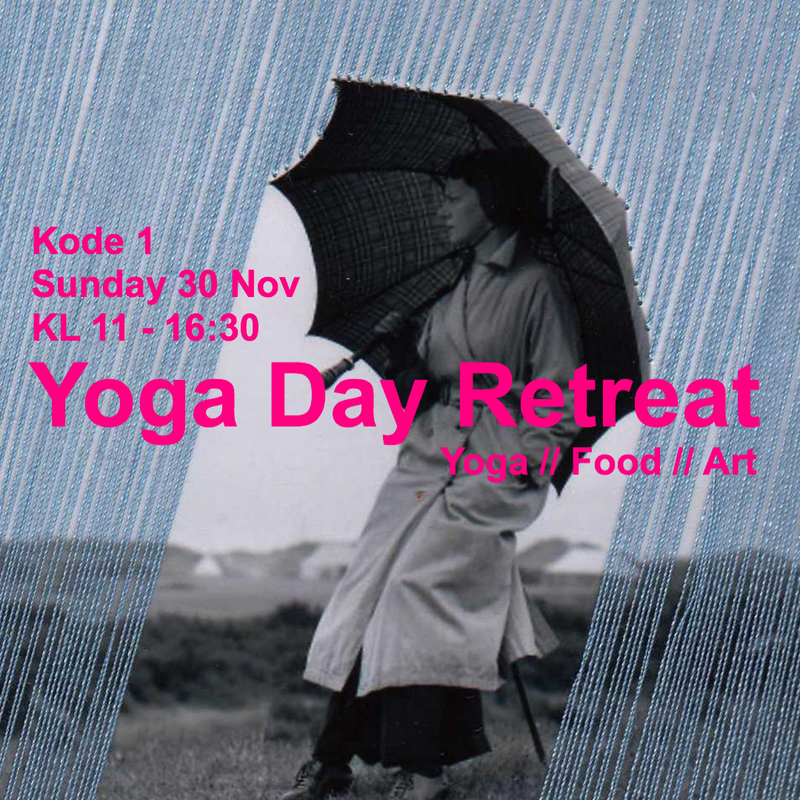 Building on the success of the popular Kunst + Yoga events at KODE, and the Composers Day Retreats in the spring, this project seeks to entwine a collaboration of art, yoga, music and movement in the city spaces of KODE with Dionne and Ketil. A unique and new experience of these national treasures, a meeting of music, movement and healthy food whilst getting a new perspective of these cultural landmarks in a never before experienced event. To entwine selected themes of art, yoga and music within extraordinary spaces and create a retreat for all the senses. To celebrate these cultural gems and to use their inspiring contents and environments in conjunction with yoga and movement practice and offer a unique and very special experience in equally special environments. For more information about our previous Yoga Day Retreats click here. We are pleased and proud to team up with Smarkverket, a healthy and nutritious local organisation who will be providing lunchtime nourishment. Fruit, nuts, treats, tea and coffee are also available on the day. You are recommended to bring a yoga mat (but there are a limited number of mats available to hire, please request if required) blanket, appropriate clothing to enable you to move in your yoga practice plus layers for changeable conditions between the sites (a short walking distance). The exhibitions at KODE are still open to the public and the yoga will be held in the Workshop Room in KODE 1 – a private space. Lockers are available to keep your belongings in, and valuables can be kept at the back of the practice rooms. *Places are limited and are assigned on a first come, first served basis. *To register and reserve your space a 200kr non-refundable deposit is required. *Pre-pay bank account: Dionne Elizabeth, 1203 91 73059 and please mark your payment with your name as a reference and email dionneyoga@gmail.com and we will confirm your place. *Deposits and full payments are non-refundable unless your space can be filled. This entry was posted in art + yoga, health, inspiration, news, retreats, schedule, workshops & events and tagged art and yoga, Bergen, feel good, KODE Bergen, kunst yoga, Norway, smakverket, winter retreat, yoga and creativity, yoga Bergen, yoga day retreat, yoga food art, yoga Norway, Yoga retreat, yoga retreat norway, yoga with dionne. Bookmark the permalink.